Figures, schemes and templates structure our collaboration and impact strategic decisions. Such visual patterns may also be used to introduce new perspectives into the system. 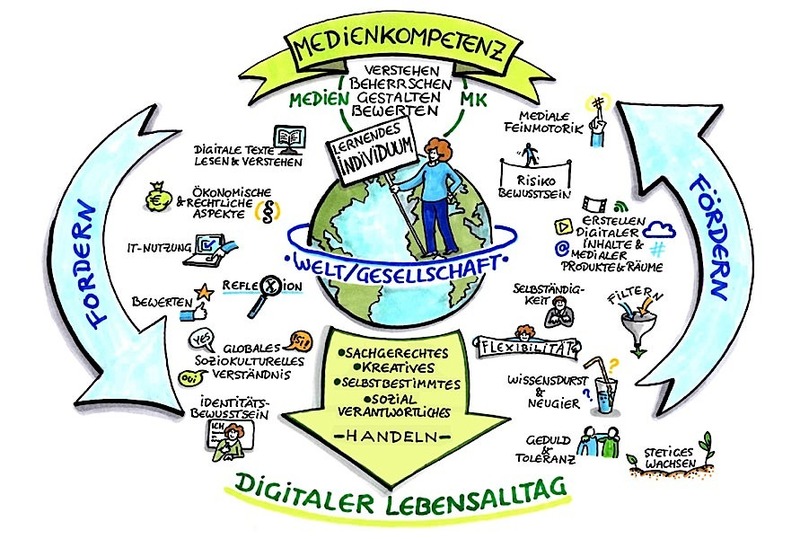 Together with Gabriele Heinzel , our partner for visualization, we not only try to apply graphic recording in our workshops. We also facilitate and extend live interaction through visual forms and templates in order to empower creativity or to structure decision making. Provide us with a question or topic – together we will make something out of it. The Business Modeling Starter Kit applies its own iconography to guide small team through the analysis or creation of business models. Again we developed the visuals together with Gabriele Heinzel.